MyAΣA lets you control how you engage with your sisters. Sign in to MyAΣA for your personalized sister experience. Welcome to Alpha Sigma Alpha! make this a great experience. The form below is to be filled out by alumnae associations only in order for renewal. If you have any questions, please contact Vanessa David, director of alumnae engagement. 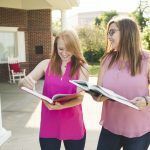 As outlined in Alpha Sigma Alpha’s National Bylaws in Article XIV, Section 8: “Alumnae associations must have a member contact person and must update/confirm that person with headquarters staff annually.” Below, please provide the most up-to-date contact information for your association. Please complete this form annually by December 1 to remain on active status. How many times did association members get together in the past year (estimated)? Provide the link(s) for any association social media page(s) (if applicable). Copyright © 2019 Alpha Sigma Alpha. All Rights Reserved.